The Westland Lynx is a multipurpose helicopter built by the British Westland Helicopters company. The Lynx was originally conceived as a utility aircraft that would serve in both civil and naval roles. Strong interest from the military ensured that the naval version would be joined by another battlefield variant. The Lynx is a twin-engine helicopter with either skids or wheels. The skids were a distinguishing feature of early models meant for the army. The folding rotor blades were revolutionary at the time of introduction and contain several innovative technologies. They are made of a honeycomb-sandwich composite material which makes them exceptionally light and strong. The rotors are one of the reasons for the Lynx’s signature aerobatic abilities. The helicopter is one of the few capable of loops and rolls, making it a darling of airshows. In fact, the Lynx’s aerobatic abilities were a world first. The first generation rotor blades were later upgraded to the newer BERP technology, further improving the speed and handling of the Lynx. The Lynx went into operational use in 1977. Since then it has been adopted by armed forces in more than a dozen nations. It is used in these different theatres for everything from battlefield utility roles to anti-armor, search and rescue and even anti-submarine roles. As of 2009 more than 450 Lynx helicopters have been built and continue to be built. 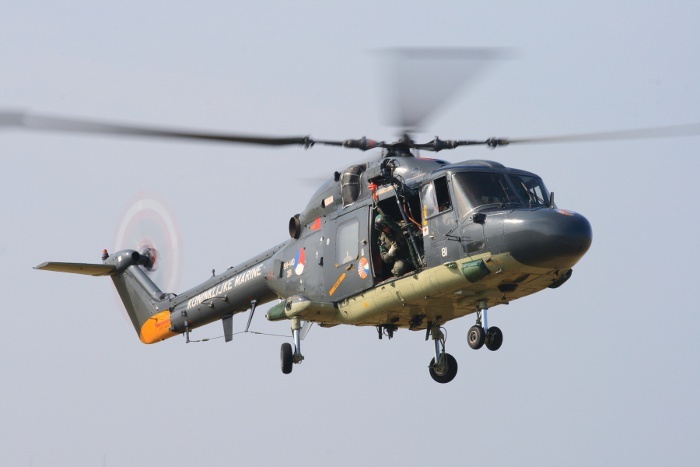 Many older models have been upgraded to match the technological abilities of the latest models and the helicopter remains a valuable part of modern military fleets. The Lynx did however have a successor in the form of the Westland 30, but it was retired in 1991 after only 41 were built. This helicopter was however not a military model, but rather a VIP transport. Do you want to comment the Westland Lynx HAS Mk.2 helicopter?